13 day Imperial Europe tour including return international Emirates flights, breakfast daily, scenic transportation by rail, in-depth sightseeing and more. Unearth the magic and history of Europe with an incredible 13 day Imperial Europe tour. 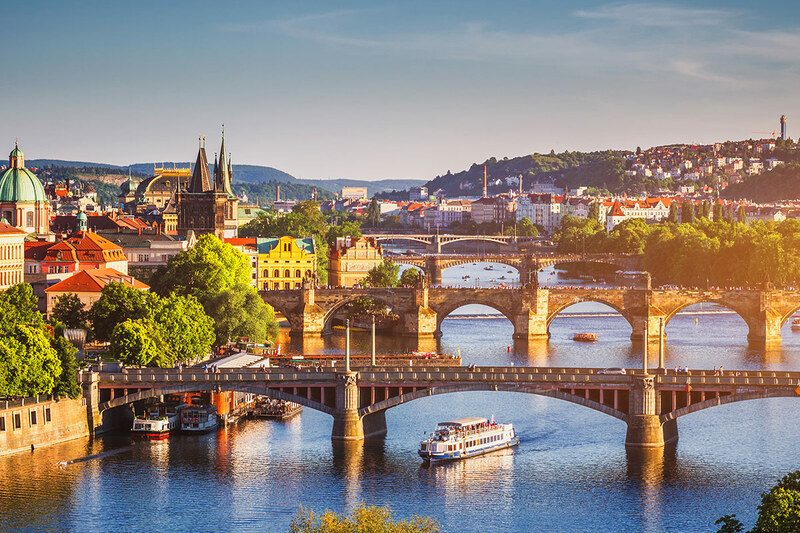 Arrive in gorgeous Prague and take a relaxing cruise on the Vltava River. Stop by the Strahov Monastery, Zizkov and the Old Town as you wander around the city. Journey by train to the Slovakian capital of Bratislava and immerse yourself in the atmosphere that surrounds the Old Town Hall. 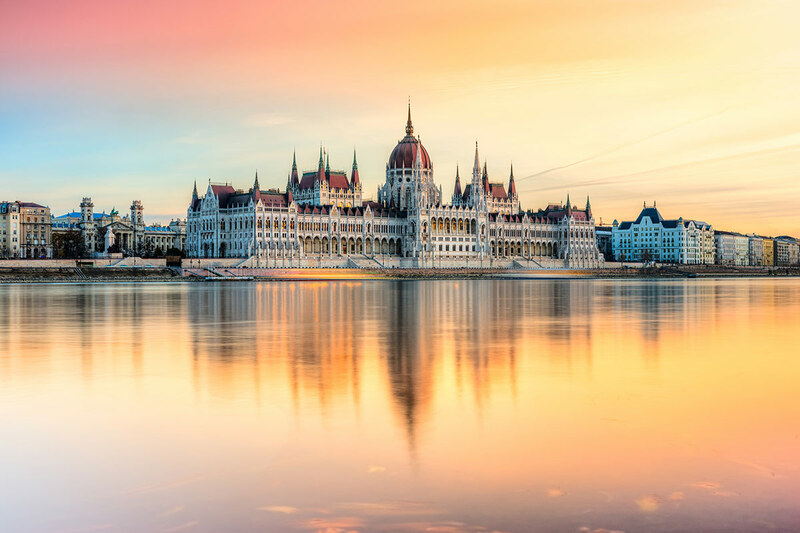 Next stop is Budapest, the Hungarian city that is home to the Chain Bridge, Heroes Square and the famous Buda Castle. Travel through to Vienna, Austria. Soak up the ever-present musical heritage of this fascinating city by taking a stroll past the impressive State Opera and the National Theatre. Make your way north-west to Salzburg and explore the sights of Mirabell Palace, Mozart’s Residence, Getreidegasse and Mozart Square. 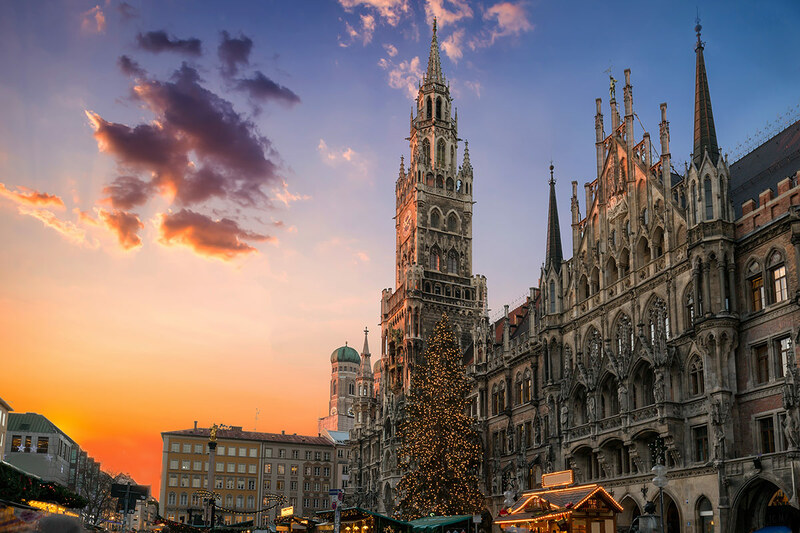 Visit the Bavarian capital of Munich. Take a tour of the city and see Olympic Park, BMW Wold and Nymphenburg Palace. 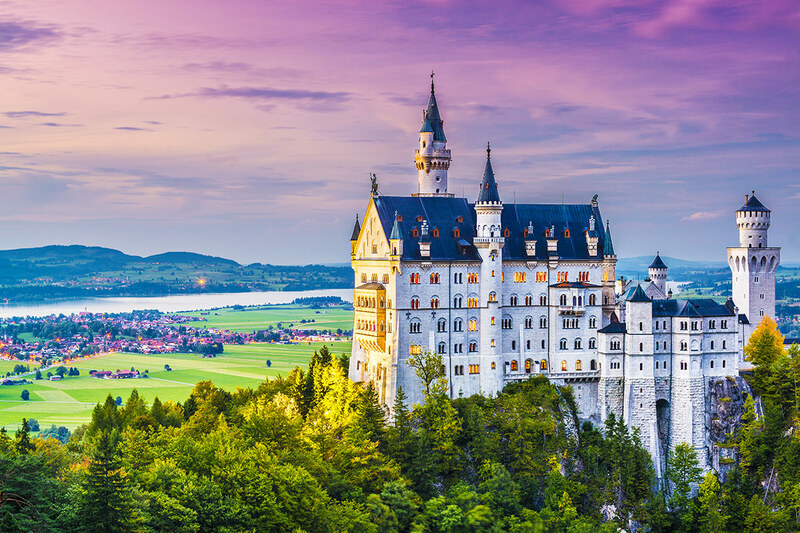 Adventure into the mountains and explore the incredible Neuschwanstein and Lindorf Castles, before your stay in Munich ends and you start your journey for home. Depart Australia today to begin your incredible European holiday. Arrive in Prague and make your own way to your hotel. You are then at leisure to enjoy this historic city and relax after your flight. 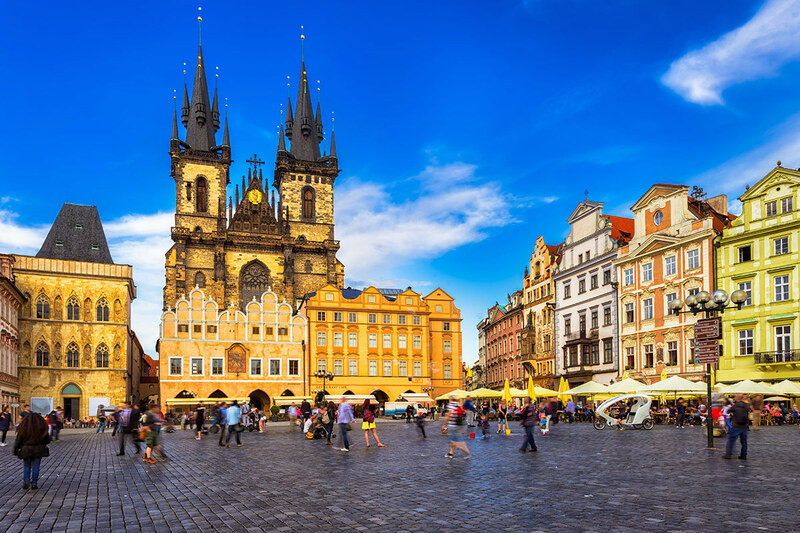 The Merkur Hotel is located near the city centre, in the close vicinity of Prague’s sights and the Palladium shopping mall with a lot of shops, other services and entertainment. The history of the hotel dates back to the 1930s, when it was built on the site of a 16th century brewery (also serving as an inn) and a town house. Explore Prague this morning onboard a Hop on Hop off bus tour which also includes a relaxing cruise on the Vltava River. Ensure to stop by the Castle area, the Strahov Monastery, Zizkov, Vysehrad and of course the Old Town near the Jewish Quarters. Perhaps indulge in the delicious chocolate flavours of Trdelník in the Old Town Square, admiring the picturesque cityscape from Petrin Hill. After breakfast, make your way to the station for your train to Bratislava. Relax as the train takes you to the Slovakian capital. Make your own way to the hotel and spend the rest of the day at your leisure. The city oozes with atmosphere from the historic Old Town Hall to the modern UFO Bridge. 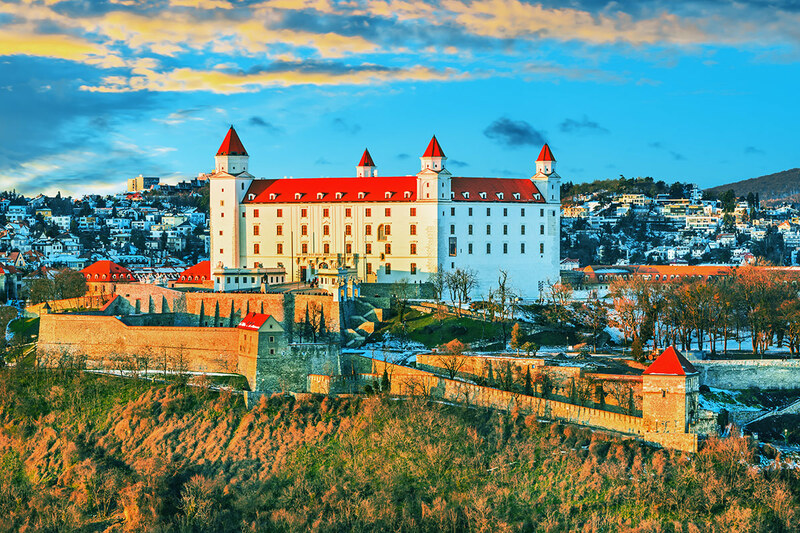 Don’t miss the Bratislava Castle and St Martin’s Cathedral! Ibis Bratislava Centrum is ideally located in the heart of the city, at the entrance of the Old Town’s pedestrian zone and at the foot of the Castle. The hotel is easily accessible by public transportation and to most attractions. Today, make your way to the station for your train to Budapest. Enjoy the ride as the train takes you into Hungary. Make your own way to the hotel, drop off your bags and marvel at the imperial landmarks as part of a Hop on Hop off bus tour. Among others, you will see the imposing Parliament, Chain Bridge, Heroes Square as well as the famous Buda Castle. Catch a train to Vienna today. Enjoy the ride as the train takes you to Austria. Make your own way to the hotel and soak in the ever-present musical heritage of this fascinating city. The Hotel Prinz Eugen is a luxury 4-star hotel located in a stylish embassy district, near the Belvedere Palace. It stands on the Gürtel just opposite the Southern Train Station – Südbahnhof. 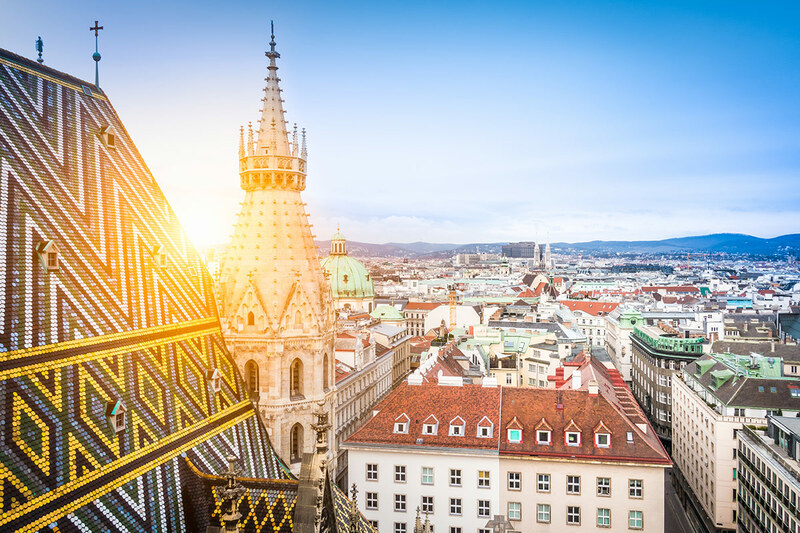 The city centre, the airport and all tourist attractions of Vienna are easily reachable from the hotel by excellent public transport links. Explore Vienna in-depth today as part of a Hop on Hop off bus tour. 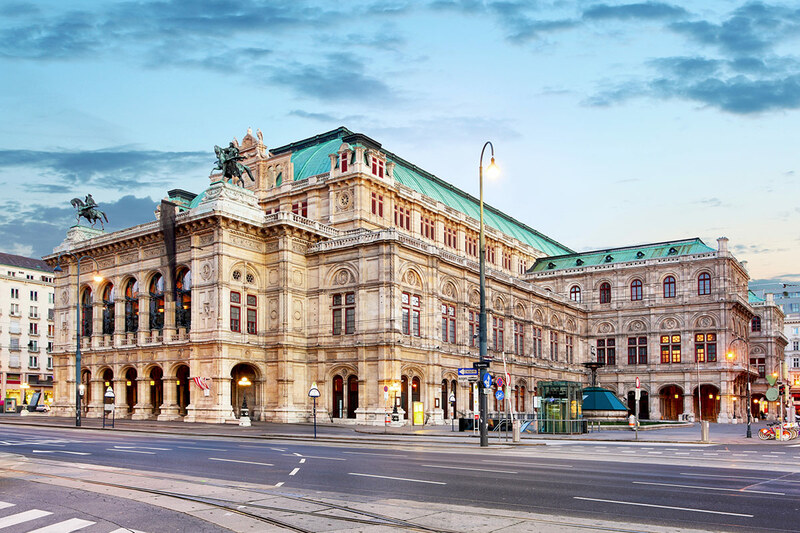 Along the Ringstrasse you find the most important sights of Vienna, such as the impressive State Opera from where you can stroll through the pedestrian zone of the Kärntner Strasse to the famous St. Stephan’s Cathedral. A special highlight is the grand Hofburg Palace which takes you back to imperial times. Visit the residence of former emperors and see the Sisi museum too. In the Imperial Treasury you can admire the crown of the Holy Roman empire and many other precious items. Also directly located at the Ringstrasse is the beautiful building of the Kunsthistorisches Museum Vienna. It is the home of priceless art treasures, such as the world’s largest collection of Bruegel paintings. Other highlights on this popular tour are the Austrian Parliament, the City Hall and the National Theater. There are multiple lines covering the entire road network so you can get the most out of your trip. Don’t miss Schönbrunn Palace and Grinzing! This morning, make your way to the station for your train to Salzburgerland. Enjoy the views as the train takes you north-west through Austria. Make your own way to the hotel. Having dropped off your bags, join a Hop on Hop off sightseeing tour that will allow for easy access to the numerous sites scattered across the city. 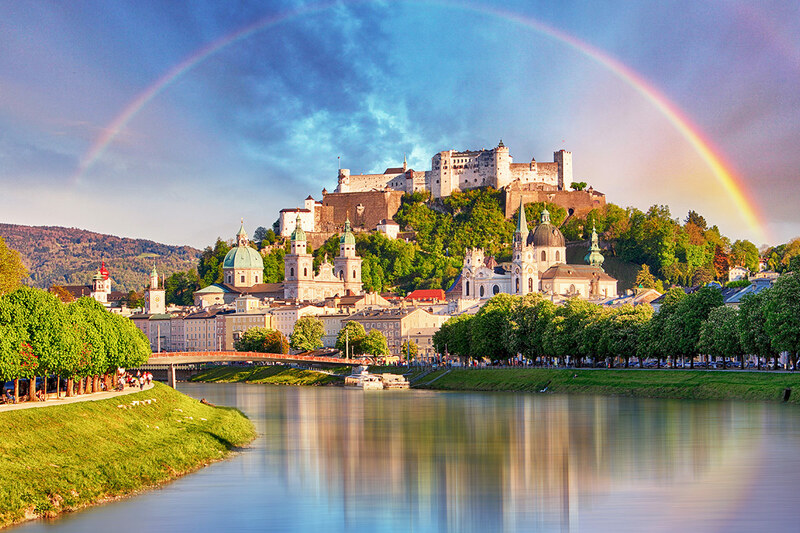 Essential highlights include the Mirabell Palace and gardens, Mozarteum, Mozart’s Residence, Hohensalzburg, Trinity Church, Hellbrunn Palace, Getreidegasse, Blasius Church and Mozart Square. Hotel Hofwirt Salzburg is a charming 3-star property conveniently located only 4.1km from the centre of Salzburg. Local tourist attractions such as St. Sebastian’s Church, Kapuzinerberg and Holy Trinity Church are not far from the hotel. Also easily within reach are Mirabell Palace (Schloss Mirabell), Mozartplatz and Mozarts Wohnhaus. Today, make your way to the station for your train to Munich. Take in the vistas as the train takes you into Bavaria and its capital. Make your own way to the hotel and spend the rest of the day at your leisure. The 4-star Novotel Munich City is in the heart of the city, close to theaters, cinemas and museums. The shops at Marienplatz and the Hofbräuhaus brewery are also nearby. You’ll feel at home in the comfortable rooms with coffee and tea-making facilities, WIFI and desk space. After a busy day of work or exploring, relax in your Novotel hotel’s spa area with sauna, fitness room and indoor pool. 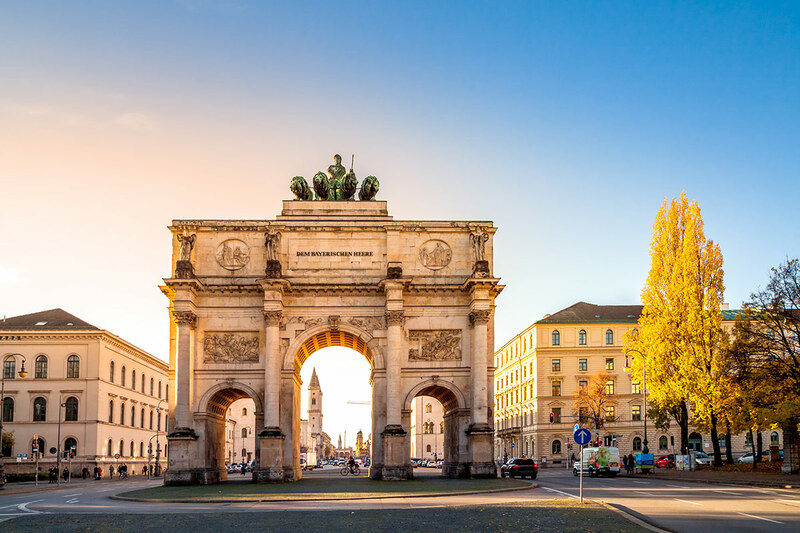 Admire the sights of Munich today onboard a Hop on Hop off bus tour. Take in its great monuments as well as the modern cosmopolitan city vibes. Besides the glamourous City Centre, the tour shows you Nymphenburg Palace, Olympic Park, the BMW World, and much more. Hidden in the seclusion of the mountains King Ludwig II built two of his dream castles: Neuschwanstein and Linderhof. This guided excursion shows you two extraordinary castles, both testifying to the vision of Bavaria’s fairytale King. Stop in Oberammergau for a break and perhaps some souvenir shopping. Then onto Neuschwanstein, followed by lunch. Finally, you will experience a comprehensive visit of Linderhof with its fantastic grotto and moorish pavillon before heading back to Munich. Bid farewell to Europe and make your own way to the airport today. 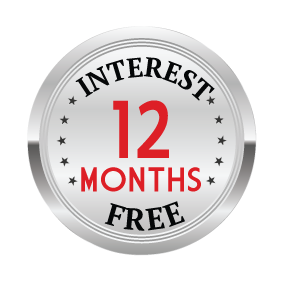 Excludes: Airport Transfers, Travel insurance, Visas, Personal expenses, Anything not mentioned or “optional” or “own account” in the itinerary. Group Sizes: This is an independent tour, accompanying guides are not provided except for guided excursions specified in the tour itinerary. Daily departures between 1 February 2019 – 30 November 2019.